Half of IKEA's restaurant menu would be vegetarian fare, including options like idli, sambhar, vegetable biryani and samosa. The usual offering of pork and beef would be replaced with chicken in India. The way to a man's person's heart is through his or her stomach. Truly, where else do you get a better example of this adage than in India? Swedish furniture giant, IKEA, that has only recently forayed into the Indian market has zeroed in on food as its entry point. Taking a cue from most malls and market complexes in the country, IKEA is set to open a 1,000-seater restaurant in the middle of its 400,000 sq ft store in Hyderabad to drive up footfall. That restaurant is set to become the Swedish giant's biggest restaurant globally. This strategy also marks an apparent difference from other markets where people rush to the IKEA stores with only one thing in mind - to buy its ready-to-assemble products. It does seem like an effective strategy in a country where the food service market is estimated to be Rs 3 lakh crore. "We internally call our restaurant or food business the best sofa-seller as it takes time to buy furniture, so we need food for people to stay," said Patrick Antoni, Deputy Country Manager at IKEA India to The Economic Times. He added that for every customer on the cash counter, they will have one paying at the restaurant too. Antoni estimates that to be nearly 50% keeping Indians' love of food in mind. In 2016, the company sold $1.8 billion worth of food out of its total revenue of $36.5 billion globally. According to the ET report, food accounts for 5% to 10% of IKEA's sales globally. An official said that it could be higher in India. Antoni further said that they even believe that in India there might be more customers eating than buying furniture, which is why they are focussing on making food the first contact point for people coming to IKEA here. 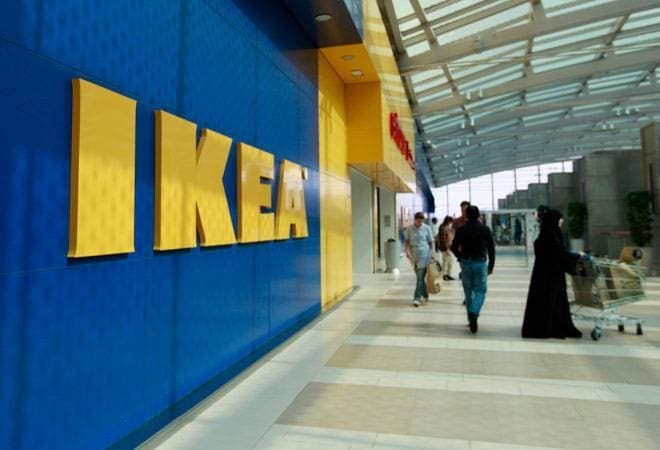 In a Business Today report by E Kumar Sharma last year, the author mentioned, "After Hyderabad, starting Spring of next year, IKEA plans to launch a store every six months in a new Indian city. So, it will be in Navi Mumbai, sometime in early 2019 followed by Bengaluru in mid 2019 and Delhi NCR by early 2020 and eventually at this pace get to 25 cities by 2025. In Hyderabad, where it is setting up the first store, the investments are of the order of Rs 1000 crore and will give direct employment to 800 people." On November last year, IKEA opened its first experience store at a mall in Hyderabad. It is spread across 5,000 sq ft and is called IKEA Hej HOME.